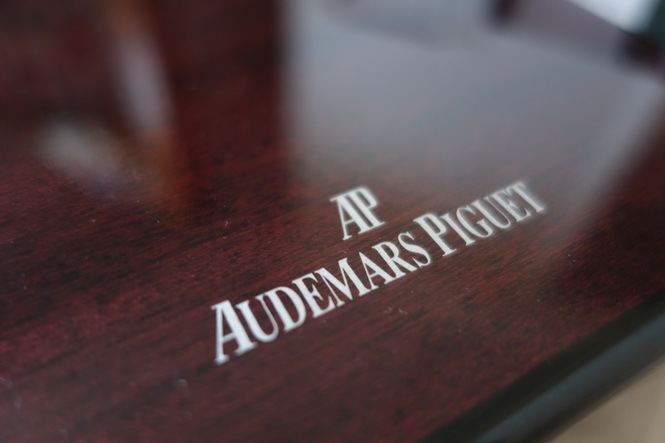 The Audemars Piguet Royal Oak is the iconic watch that you could almost attribute the revival of the manufacture to. It is the kind of design you either love, or hate. However for me, it was love at first sight and after owning it for some time, it is definitely on the “keeper” list. In this review I will touch on some of the reasons why. 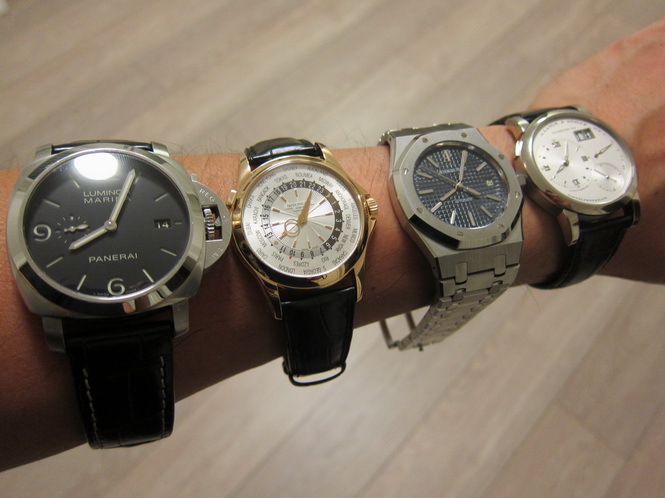 Most people would split Audemars Piguet’s watches into two lines. The Millenary collection and the Royal Oak collection. The Royal Oak collection in itself has many members, from the simple Automatics to the complicated Royal Oak Offshores. Each has its unique and distinctive style, complication and case material, however what they share in common is the distinctive octagonal bezel that has made the Royal Oak so popular. 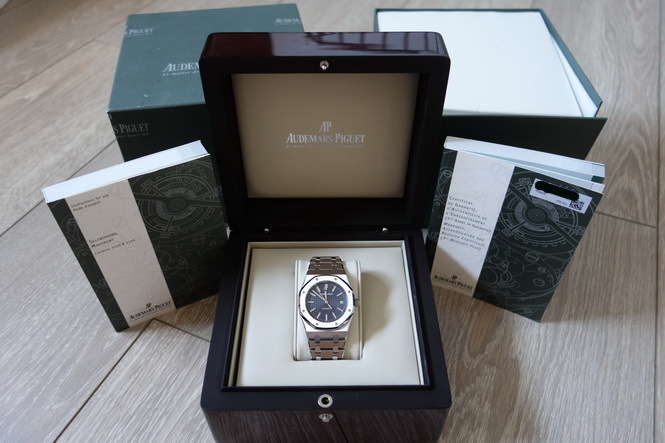 In 1972, Audemars Piguet launched something the world had never seen, the Reference 5402 was the very first Royal Oak. AP marketed this watch as a luxury stainless steel watch in a time when gold was considered the only luxury metal to be used. Named after British Royal Navy battleships, which were named after the tree that King Charles II of England hid to escape from his attackers during the English Civil War , the Royal Oak was designed by the legendary Gerald Genta and saved AP from the inevitable financial collapse that would have followed in the age of the quartz watch. 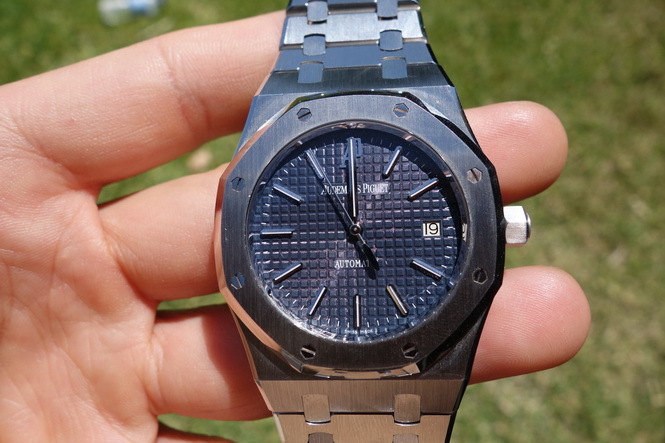 Gerald said that the Royal Oak was the masterpiece of his career (this is the man who also designed the Patek Philippe Nautilus) and it was priced at more than a gold Patek Philippe dress watch, and ten times the cost of a Rolex Submariner at the time. Initially it was a very slow start. It took a year to sell 1000 pieces and people criticised its disruptive design, price and the ‘ghastly’ visible gasket and screws. 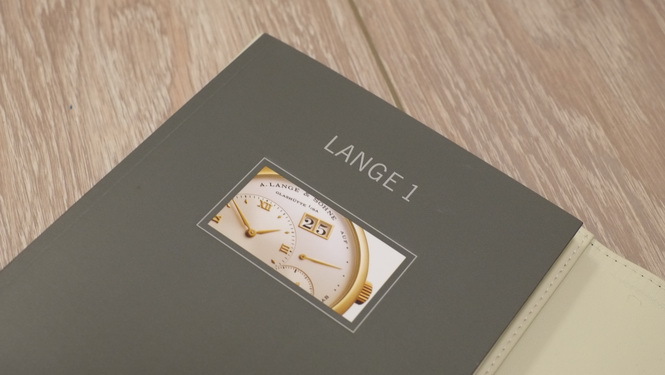 However from there sales took off and it became a much revered and loved watch by collectors, and also a shining star for the manufacture in Le Brassus. Technically the case is 39mm, but what does this really mean? Not much until you wear it. For me, it’s the perfect size. Not overly large and it wears very nicely on the wrist compared to the 41mm 15400. The case is probably the most eye-catching part of the 15300, with the octagonal bezel being the most striking element. This sports watch is definitely a sharp one, there are nice clean lines on the case with a mixture of both polished and brushed surfaces. The bezel itself should only ever be polished by an authorised AP service center. The lines are so fine on the bezel that they can easily be rounded even by an expert polisher. AP have specific tools and machines to re-invigorate the satin finish on the bezel so best to leave it to the experts. The cash is polished only on the chamfered edges that link the side and top of the case, followed by the polished edge that joins the flat top bezel to the case. 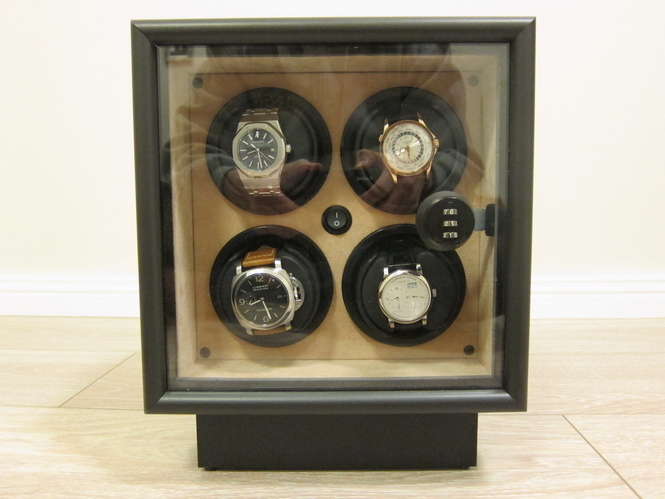 This is a great way to frame the bezel against the overall case, adding depth and a touch of luxury. Note these polished edges are also varnished for protection. 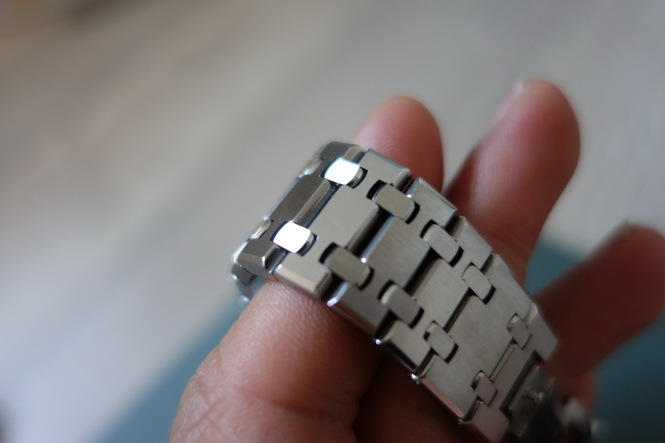 The 8 hexagonal white gold screws on the bezel are spaced at each corner of the octagonal bezel. They dont “screw” in as such as there is no way they could turn in the hexagonal holes in the bezel, and you wouldn’t put a screwdriver in the slots either. Why have the slots then? well can you imagine how awkward it would look without it? 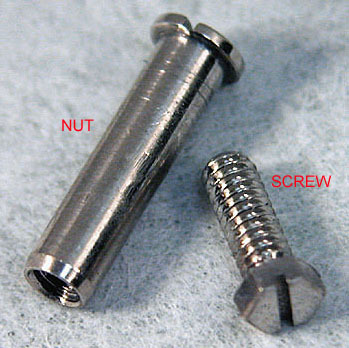 The “screws” are fastened to the case by the screws on the case back, which look like screws but are actually the nuts. Confused? 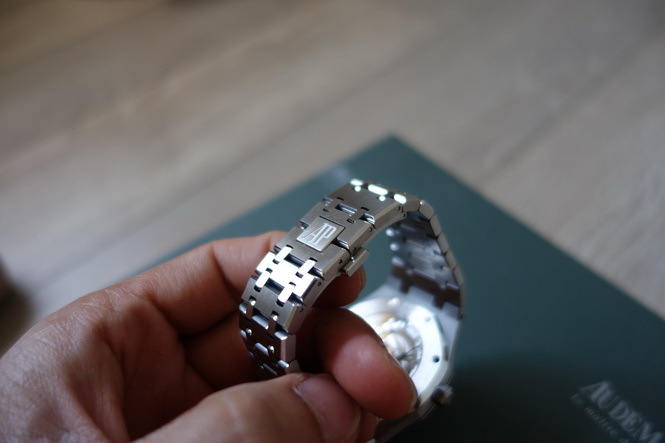 Let’s just say it makes for an interesting design and you can get the screw heads aligned nicely unlike the ones you see on the bezel of a Hublot. 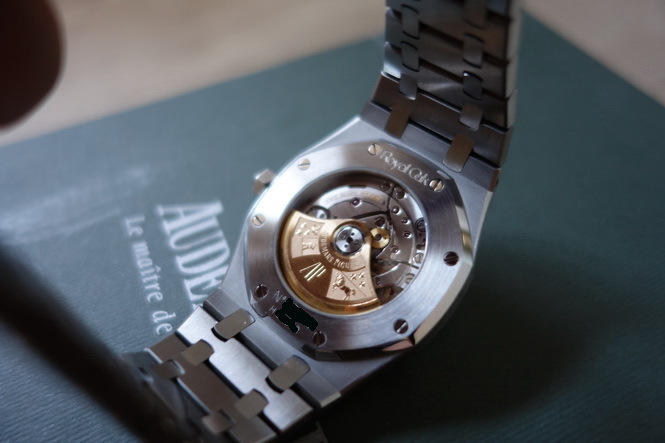 That is certainly one thing that would bother me, and here Audemars Piguet have done it right. Each bezel screw is aligned nicely around the dial. The 15300 although rigid looking, fits around the wrist so well. 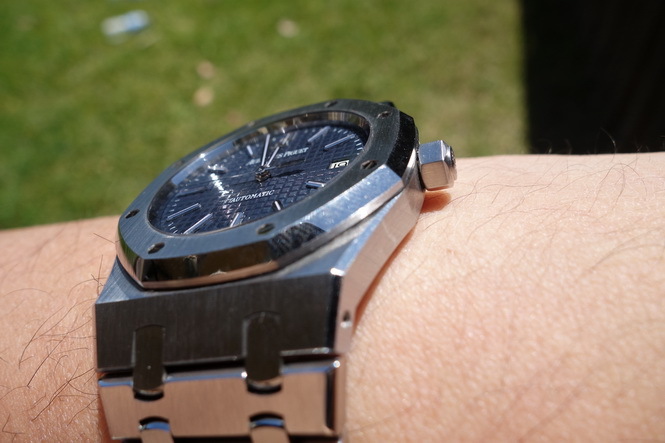 The Royal Oak case is a great piece of design and engineering. It is able to provide a secure home for the movement. Water resistance is helped with the visible gasket. If you look closely enough you can see the black gasket that is sandwiched between the bezel and the case. It is actually much thicker than it looks and is compressed down when tightening the screw and nut. 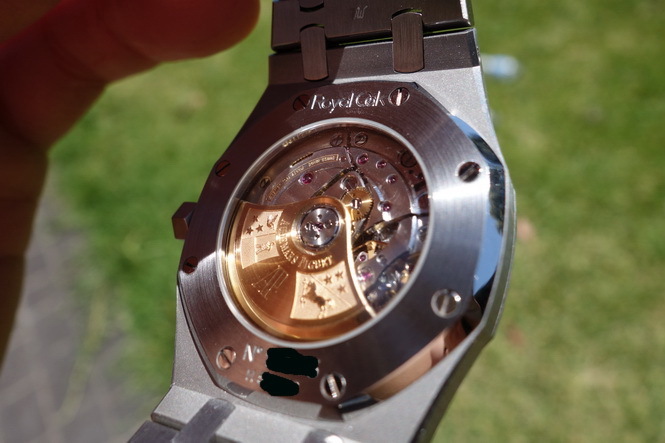 This seal completely surrounds the movement and acts as a barrier between the movement and case, there is a thin seal between the crystal and the bezel, and the crystal is sealed to the top of the main seal by the pressure of the bezel. All this works to make the Royal Oak an incredibly waterproof case without the use of numerous small, fragile O-rings like other manufactures use. If you were to look closely at the screw down crown, you’ll also notice it never actually touches the case, but rather, to the stem tube. Not as thin as the much coveted Royal Oak Jumbo Ref. 15202, the 15300 still wears relatively thin. The finishing on the case is remarkable, and I can certainly say it is executed more finely than any Rolex would be. It is precise, clean, durable and best of all, it feels great in your hand/on your wrist. The front and rear crystals are levelled nicely with the case and allow full enjoyment of the dial and movement. Most Royal Oak fans chase the Ref. 15202 Jumbo for the JLC derived movement (AP used to own a 40% share of JLC). I would agree that the Caliber 2121 is an amazing movement both technically and aesthetically, but that shouldn’t detract from the in-house Caliber 3120 found inside the 15300. The Caliber 3120 is 4.26mm thin, contains 40 jewels and made up of 278 parts. 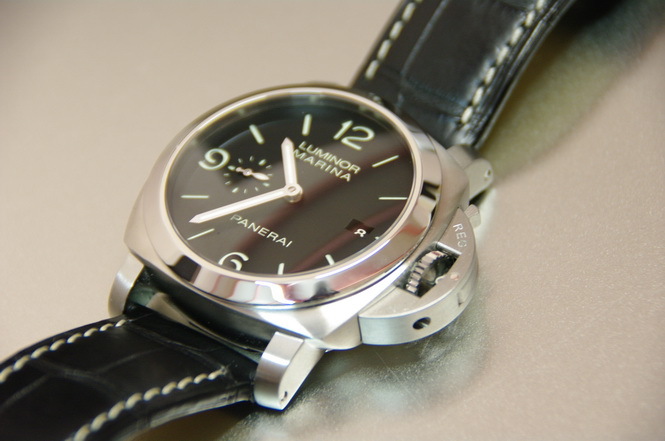 It beats at 21,600 vph with a more than adequate 60 hour power reserve without the need to use two main spring barrels. 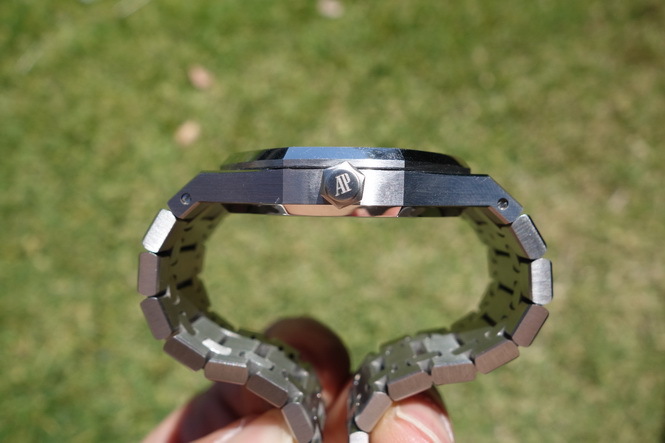 Instead, AP worked to improve the mainspring and optimise the movement’s power usage. Unlike some other date mechanisms, the 3120 has no issue with its owner setting the date around midnight. 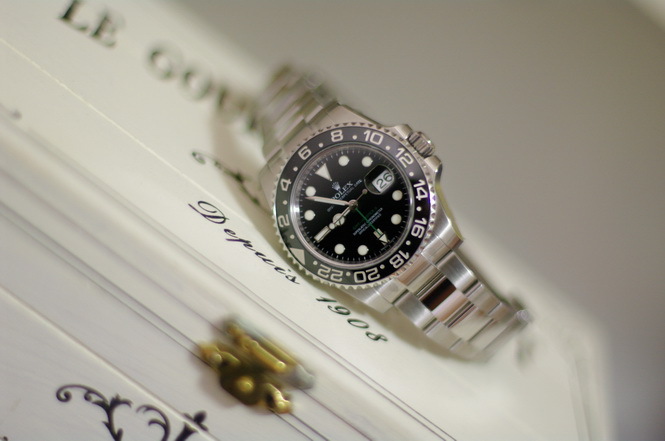 Similar to a Rolex, it will also jump the date at midnight rather than with a gradual change. The balance bridge is double screwed for extra stability and the other bridges are aligned on the same plane to ensure slimness of the overall movement. The 22ct gold rotor is adorned with the AP monogram and coat of arms of both the Audemars and Piguet families winds the watch in both directions. Decoration of the movement is exception. Perhaps not to the level of A. Lange & Sohne but nonetheless all components are finished by hand, with the bridges carrying Côtes de Genève that carry the stripes through to the other bridges. 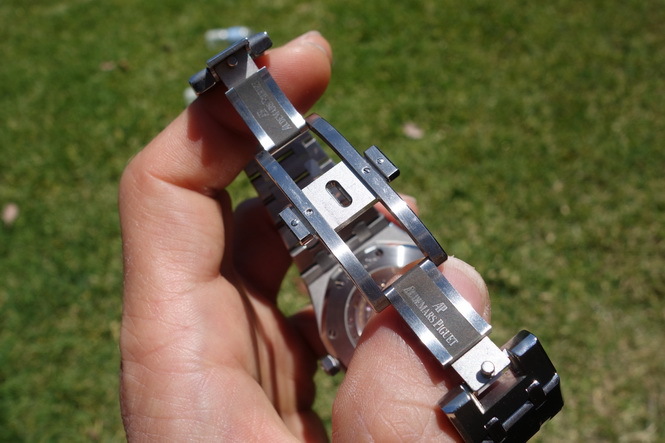 Bevel’led edges are a sign of top-notch watchmaking and uniform perlage is added to the plate behind the balance wheel. Due to the slimness of the movement, AP watchmakers work with tolerances between 2 and 5 hundredths of a millimeter when adjusting the vertical movement of the wheels. After assembling and making adjustments, the watch is disassembled and lubricated by a precise machine and then all the tolerances are measure against to ensure every piece is where it should be. The movement is has a hacking seconds feature, very useful when you want to reset you watch and sync it to an atomic clock. Adjusting the hands is also a very smooth process. However the same cannot be said about the way the watch winds. It definitely does not have a smooth buttery feel to it, but rather a scary feeling clicking sensation. When winding, it definitely feels a little more rougher than other watches but have been told by the service center that this is due to the clutch mechanism of this automatic movement. AP’s specification is that the watch should perform within a deviation of 3.5 seconds per day. When I first received this watch it was averaging approximately 4 seconds faster per day, however in more recent times, this has narrowed down to 1.5 seconds per day. I’m quite impressed and it is definitely one of the more accurate watches I’ve had the pleasure to wear. The tapisserie dial is probably the stand out feature of the blue dial. You can learn more about how it is done and the different variations here. The “petite” tapisserie dial in this 15300 catches the light at various angles. In certain lighting conditions, the blue of the dial looks almost like a slate grey colour, and then in some conditions, it is obviously a dark blue. The graining on reach little square also gives off a radiant look to the dial, you can see the light bouncing from the middle of the dial out towards the edges. The “AP” monogram is located conveniently at the 12-hour marker followed by the Audemars Piguet text stamped underneath it. At the 3-hour marker, the date window is appropriately spaced from the edge and has a white background. This is certainly different to the newer 15400 and I actually prefer how it is executed on the 15300. A white background makes the date very legible and there is no mini applied 3-hour marker to clutter the dial. Surrounding the outer rim of the dial are the minute gradations which are simple white lines. If you look closely, each hour marker consists of a luminous center, and then a tapered polished edge to the left and right that falls into the dial. What this does is allow different hour markers to catch the light and reflect depending on the angle and light. The hour and minute hands are made in the same way. Unfortunately the space for the luminous material is so small that the watch is not a great performer at night. If you’re not looking hard enough, it will be difficult to tell the time in the dark. Firstly, I have to say that the Royal Oak bracelet is the most comfortable steel bracelet I have ever had the pleasure to wear. When you first hold the watch you will doubt how comfortable it will be, with all the moving parts and sharp lines. However once on, it wraps perfectly around your wrist. 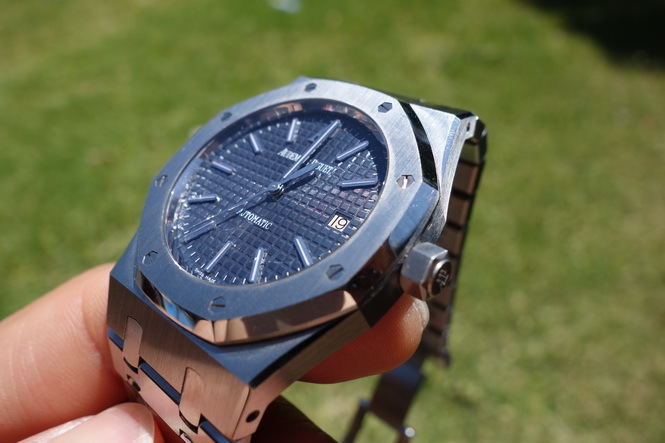 The comfort is also probably due to the design of the new double deployant clasp that Audemars Piguet used for H-series and later Royal Oaks. Unlike its predecessor, this one has a more industrial and modern look. 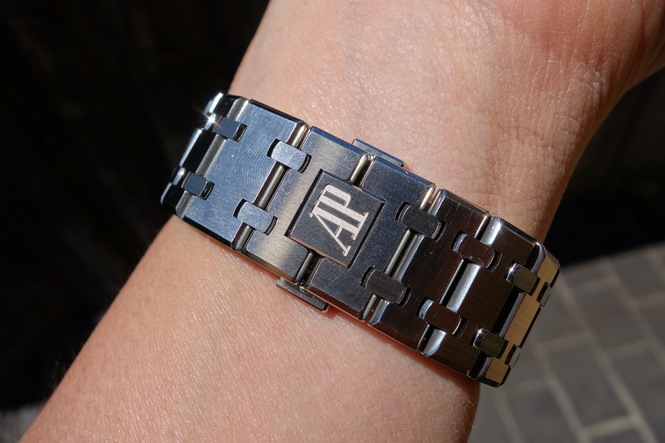 Each side clicks into the square AP monogram on the bracelet. The clicks are always obvious and feel absolutely secure. Releasing the clasp is as simple as pressing down on the top and bottom release buttons. After 2 years, the clasp performs and feels exactly as it did on day one. Quality. The bracelet in itself is a precise piece of engineering and is one of the reasons why people are drawn to the Royal Oak. AP put as much thought behind the bracelet as they did with the case. Each link is different, and performs its role perfectly in the bracelet. You’ll notice that size of each link tapers down towards the clasp. Each link has a satin brushed finished on the top and bottom, and the edges are again bevelled and polished. All this work is done by hand. Each link is connected by 2 smaller links that are again, satin finished with a polished edge. The size of these mini-links also tapers down also. They start large to be in proportion with the main link, and then become smaller as the main links become smaller. What this is that each link is quite individual and serves its own purpose, and the combination of them all makes for a strikingly good looking bracelet. As a whole package, this watch definitely has strong wrist presence. It catches the light with its stunning dial and perfectly placed polished edges in so many ways and easily stands out in the crowd. No expense spared in the packaging. The watch comes with a heavily lacquered wooden box. Surrounding it is some nice soft foam to protect the box, and then the green outer box. The service manual/warranty booklet and user manual are both stored neatly under the wooden box. Unfortunately the 15300 is now a discontinued model as it has been replaced by the newer 15400 model. Recommended retail price at the time was approximately AUD$17,000. On the used market today you can probably find a nice example of a 15300 around the $14-15,000 mark. Previously I have seen them for a couple thousand lower. However, they appear to have increased in value in the past year on the used market as many still prefer the 15300 over the 15400. 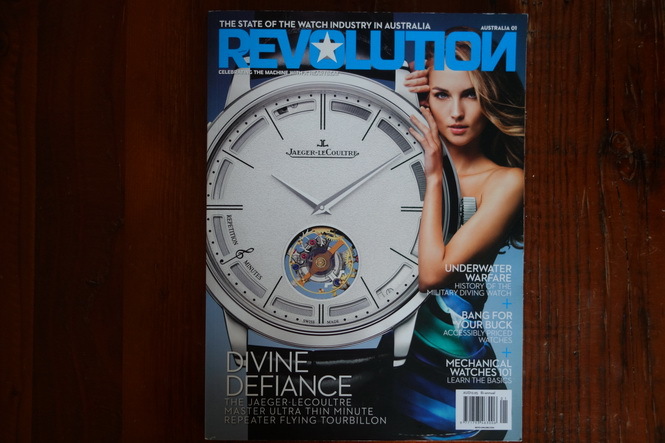 The black and white dials are easier to find, with the blue dial usually the more sought after colour. It would be fair to say that the Audemars Piguet Royal Oak 15300 blue dial is my favourite (perhaps unfair for the other watches). It is my go-to watch that works well in both formal and sporty settings. It is amazingly comfortable to wear and I never get tired of it. Audemars Piguet have definitely succeeded in their original aim of producing a watch that combines both luxury and a sporty feel to it. Would I ever trade or sell this watch? I don’t want to jinx it, but my simple answer is no. Not so sure myself. I dont think there was anything majorly wrong with it.